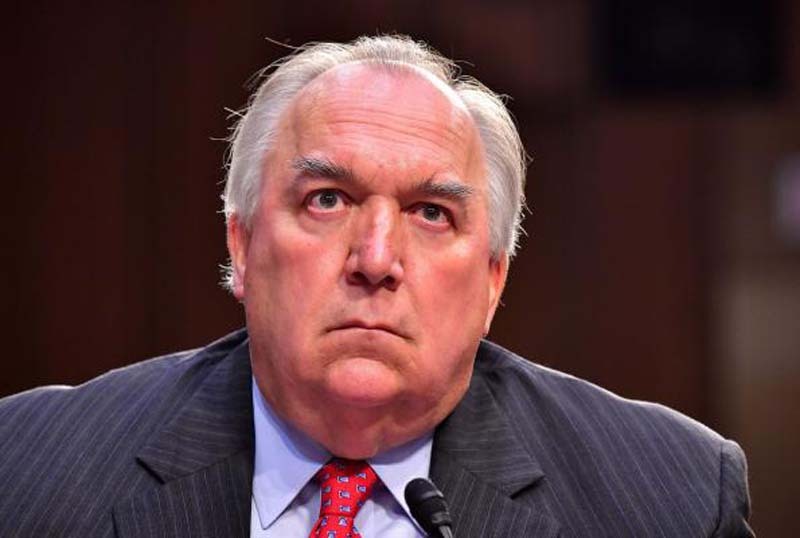 Michigan State University's interim president, John Engler, testified about his mistakes and accomplishments as leader of the university after the Larry Nassar sexual assault scandal during a congressional hearing Tuesday. During a Senate Subcommittee on Consumer Protection, Product Safety, Insurance and Data Security hearing, Engler was asked about his six months leading the university since the scandal and interactions he's had with Nassar's victims. "It has been a challenging six months, and there are things I could and should have done differently and better," he said. "I regret my errors and have publicly acknowledged them. I recognize that there have been frustrating periods during that time, but I am also confident that we have accomplished much." [post_ads]Engler told senators that descriptions of a meeting with survivor Kaylee Lorincz, in which she said he offered her $250,000 to settle her lawsuit against MSU without her attorney present, were inaccurate. Engler said he met with Lorincz and her mother to discuss other actions MSU officials could take following the scandal. "I was not doing settlement negotiations with one plaintiff -- that would be silly," he said. He went on to say he and Lorincz have "very different recollections" of what the meeting was about. In a news conference prior to the hearing, Lorincz said she refused to be bullied into remaining silent about the abuse. "What is Mr. Engler so afraid of?" she said. Sen. Maggie Hassan, D-N.Y, questioned Engler about an email exchange that was later made public in which he alleged Rachael Denhollander -- the first victim to publicly accuse Nassar -- was receiving kickbacks from the trial attorneys involved in suing MSU. "They have survived unspeakable abuse -- the notion that you could think they could be manipulated by trial lawyers and that you would speak of them that way is just deeply, deeply offensive," Hassan said. "I think you have some repair work to do, to put it mildly." Engler said he was frustrated during the process of negotiating the $500 million settlement with Nassar's victims, adding he always worked toward reaching the best settlement. Sen. Gary Peters, D-Mich., made reference to a letter written by 120 Nassar survivors who called for Engler to resign, saying his presence harmed them. "Under my leadership, accountability is being restored," Engler said. "From the moment that I arrived at MSU, we moved decisively to make the organizational changes necessary to ensure that a monster like former MSU doctor Larry Nassar could never again hide on our campus." Engler said he was proud of achieving the settlement, the removal of former College of Osteopathic Medicine Dean William Strampe and reworking medical policies to protect minors in university care, but added there was still work to be done. "Our goal is to make Michigan State University a campus that works aggressively to prevent sexual misconduct and assault, and if prevention fails, has appropriate procedures in place to respond," he said. Engler also noted the creation of an office of risk management and several new hires in the university's Title IX department, sexual assault program and campus police department, and pledged to use his remaining time "to continue to implement meaningful reforms and administrative changes that increase safety, accountability and respect on the Michigan State campus." He added, however, that he is not a candidate for the permanent role as president of the university.